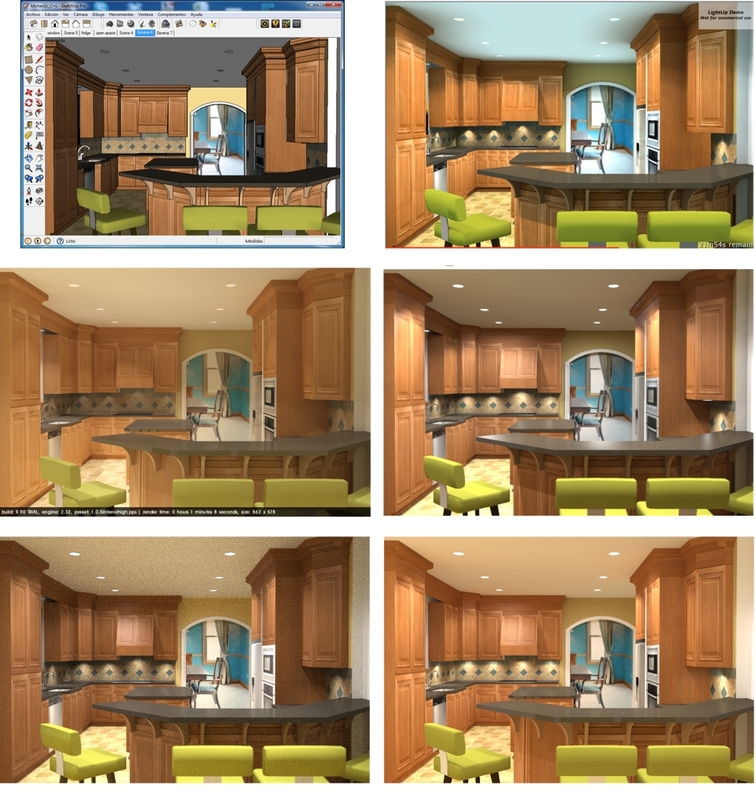 These 5 renderings were made with 5 different plugins using the same scene in SketchUp. I would love to receive feedback from you which one do you like more and if you dare, guess which plugins were used for each of the 5 images. Your feedback will help me with my next post. At first I voted for the upper right but I’m really liking the one in the middle right. The accented lights on the ceiling are more prevalent and the background room is not as blown out. Nice work. I like the third one (middle right), because of the lighting. Note the way the light strikes the countertop. Very realistic. The under-cabinet shadows also look realistic yet not as harsh as in the top right. Looking forward to this blog post Adriana! I like the lower left one because of its detailed material-looks. The lighting overall was pleasant. Middle right is my choice because it does a good job at showing the lighting...Consider sitting an object or two on the counter to show a shadow or reflection on the counter top. This may add a little more depth and realistic quality to the rendering. Middle right is my choice too! Awesome design. I would also like to know the plugin you used for this. BTW, my choice is in middle right too!